How much help do the Giants need at wide receiver? The Wide Receiver position was supposed to be a strength of the New York Giants in 2017. Instead, an unbelievable run of injuries turned the position into a major weakness. 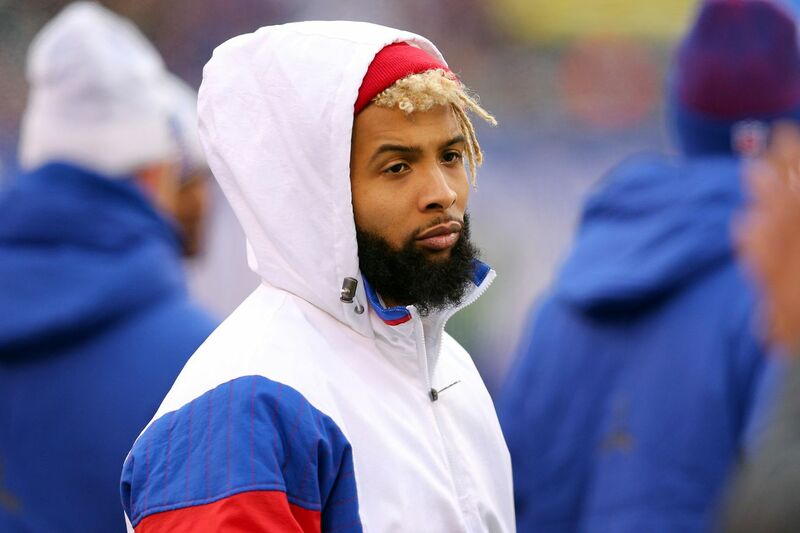 Odell Beckham Jr. got hurt in a preseason game, missed the season opener and just about the time he had finally gotten healthy he fractured his ankle. Brandon Marshall and Eli Manning never really got on the same page. Sterling Shepard was in and out of the lineup all year. Dwayne Harris could have helped, but he went down with a season-ending injury at the same time Beckham and Marshall did. The Giants were left asking guys who should have been bit players, and maybe shouldn’t have been in the league at all, to try and make plays for Manning. Roger Lewis Jr, caught 36 passes, but had fallen out of favor by season’s end. Tavarres King caught 18 passes, but ended up on IR. So did Darius Powe, after one game. Preseason fan crush Travis Rudolph caught only eight passes. Guys named Kalif Raymond and Hunter Sharp also played. Do they give Beckham a rich, long-term contract this offseason? My view: No. Let him play out the year and prove that a) He can fit within what Shurmur says is “what it is that we’re looking for for a guy that plays for the New York Giants,” and b) He is still the same explosive player after last season’s injury, which I believe he will be. What I think the Giants will do: I will be surprised if the Giants give Beckham a mega-deal this offseason. Keep or cut Marshall? My view: This one is easy. I never thought Marshall should have been a Giant to begin with. He will be 34, is coming off a major injury and has had one good season since 2013. Per Spotrac, the Giants can save $5.1 million against the cap by cutting him. Bye, Brandon! Keep or cut Dwayne Harris? The veteran is mostly a kick returner, having caught only one pass the last two seasons. My view: The Giants can save $2.45 million against the cap by cutting the 30-year-old, and I would anticipate they will do just that. Beyond that, the question is whether or not the Giants really need to prioritize adding players at this spot — especially if they let Marshall and Harris go. Lewis can make plays, but his inconsistency is maddening, and King’s speed can be useful at times. Neither, though, is a full-time player. Could someone like Powe, who has intriguing size, be a factor? Perhaps part of the answer will be in how Pat Shurmur intends to use Evan Engram. Not that the Giants would make him a wide receiver, but if they intend to split Engram off the line of scrimmage more this season perhaps that need is lessened. In free agency, there doesn’t appear to be a reason for the Giants to fish in the top, expensive end of the market. Perhaps a low-cost veteran for depth. Here is Spotrac’s lost of unrestricted free agent wide receivers. Decide for yourself who you like, and whether any are worth pursuing.